The Tohoku-Hokkaido Region consists of three regional teams: Iwate, Miyagi, and Fukushima. On May 27, the Iwate team and the Fukushima team held their events, and the Miyagi team held their event on June 3. On May 27th 2018, the Iwate Team, led by Regional Leaders Mio Kakuchi and Kazumasa Motomiya, both alumni of the TOMODACHI Summer Softbank Leadership Program, with support from Regional Mentor Kazunori Ishii, held their event in Morioka City in Iwate Prefecture. 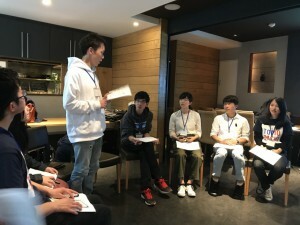 With over ten participants, the event kicked off with an icecream-making workshop sourcing local milk from Kuzumaki Town, Iwate Prefecture, hometown of the two Regional Leaders. The session was followed by a cultural experience of learning sansa odori, a traditional dance from Iwate listed in the Guinness Book of Records as the largest taiko drum festival in the world. 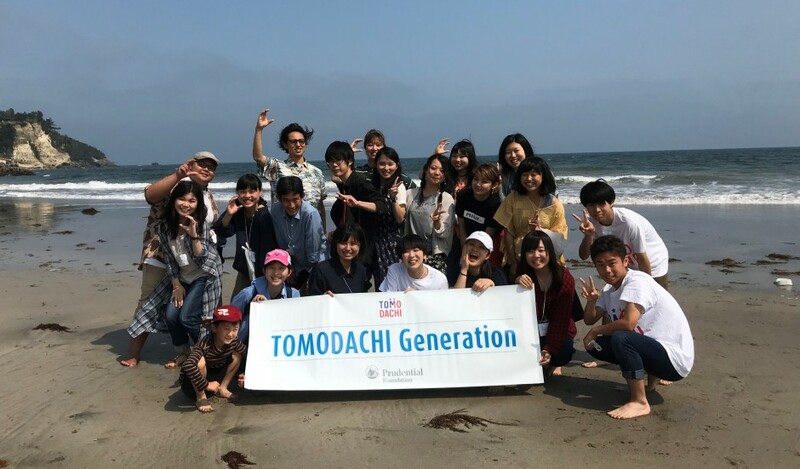 Also on May 27, the Fukushima Team, led by Ayaka Kibushi and Daichi Seino, both alumni of the TOMODACHI Summer Softbank Leadership Program, with support from Regional Mentor Shizuka Ishiyama, held their Welcome Event in Koriyama City, Fukushima Prefecture under the theme: “LACE in Fukushima” (L: Love, A: Active, C: Change, E: Encourage) that aimed to connect people who love Fukushima and would like to be create positive change for the region. 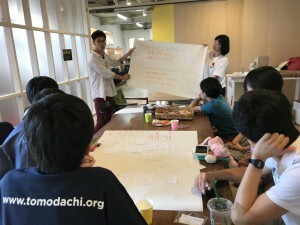 The event was joined by over ten participants, beginning with an omusubi workshop digitally led by Miki Yamada of Waraimusubi, where participants made rice balls together with various ingredients under the theme of Connection. The workshop asked the question what sort of needs there are in the community and what event would the alumni want to create in order to address this need. Through the discussions, they discovered a common theme: Food. They came to a conclusion that they want to plan and execute a tour where people can learn about, and experience food. They decided that the target audience would be people who have never been to Fukushima or adult alumni in Fukushima, and keywords such as rice, sake, peaches, and mushrooms were raised. 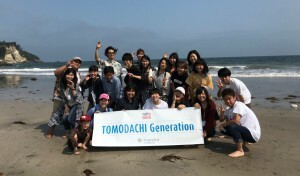 On June 3, the Miyagi Team, led by Yuuna Watanabe (alumna of the TOMODACHI Summer Softbank Leadership Program) and Ko Sato (alumnus of the TOMODACHI US-Japan Youth Exchange Program) with support from Regional Mentor Minori Kato, held their event at KokusaiMura, Shichigahama Town in Miyagi Prefecture. With the participation of over 20 alumni, the event was designed to gather alumni with different ages and backgrounds to share the same spirit and to strengthen the network to cultivate each other’s motivation, and develop a “Third Place” for Alumni to connect, think and collaborate. The Regional Leaders selected the area to stress the importance of connecting the local community to nature and to enjoy the beauties it has to offer. A temakizushi party broke the ice using Shichigahama’s local seaweed and other local specialties that were included as ingredients. Participants then walked to Shobuta Beach. Some enjoyed the beach, hunting for seashells, fish and crabs, or socializing with local surfers; while some quietly gazed at the scenery as it was their first time to come back to the beach since the 2011 Great East Japan Earthquake and Tsunami tore through their hometowns. They commented: “I had kept a distance from the sea due to the negative memories of the tsunami, but this event gave me an opportunity to come back to the beach again.” Others mentioned that they had been living in Miyagi for years but that this was their first time to visit Shichigahama. For them, it was their chance to discover the beauty of part of their prefecture and it encouraged them to say “I would like to know more about Miyagi”. 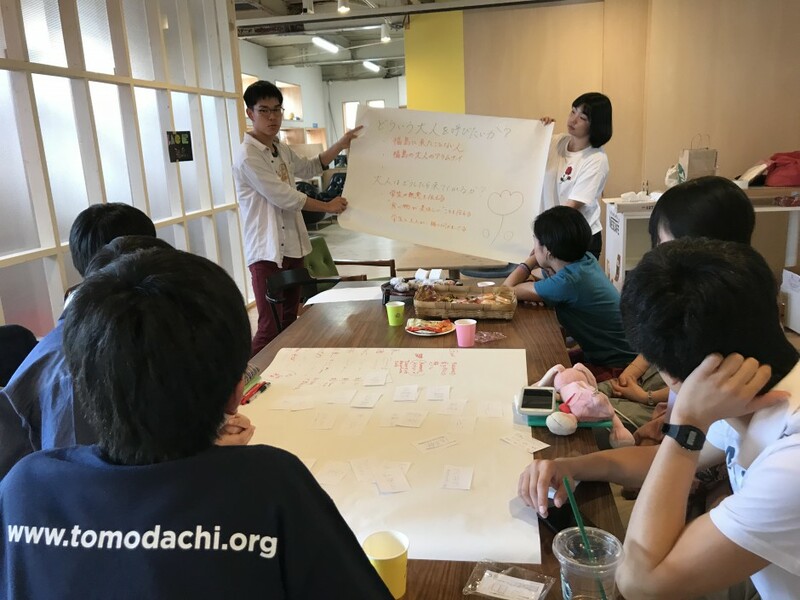 Regional Leaders reconfirmed the power of TOMODACHI alumni in a region, and made sure that they will be closely working together to put together the Theme Event, by leveraging individual’s strength.